Mumbai: Lack of quality neonatal care, especially in rural areas, is the key reason for the high mortality rate among newborn babies, medical experts said. According to the National Family Health Survey (NHFS) 2015-16 released early this month, neonatal mortality in urban centres is 29 (per 1,000 live births) and 46 in rural areas. Overall the figure is 41 per 1,000 live births, translating into around six-and-a-half lakh deaths of babies a year. Bhupendra Avasthi, Director, Surya Mother and Child Hospital, said premature births, infections and asphyxia (baby not crying after birth) are the main reasons behind these deaths. 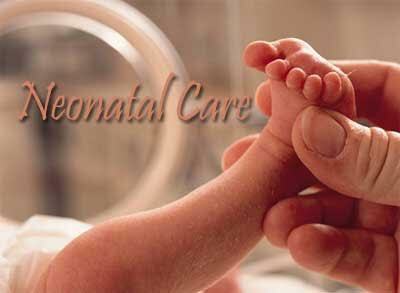 “There is a severe shortage of neonatal ICUs in the country. While private hospitals in Mumbai have around 300 beds reserved for such cases, the city alone needs at least 1,000 beds,” Avasthi said. Sonal Saste, a pediatrician, said many of the preterm babies who survive suffer from various disabilities like cerebral palsy, sensory deficits, learning disabilities and respiratory illnesses. “The morbidity associated with preterm birth often extends to later life, resulting in physical, psychological and economic stress to the individual and the family,” she added. Nandakishor Kabra, a neonatologist, said according to estimates, India accounts for 20 per cent of live births and 23.6 per cent of preterm births worldwide. “More effort is required to identify women at risk of preterm labour and support them to give birth in a health facility that can offer extra care when needed,” Kabra said. Avasthi called for public-private partnership to set up more neonatal ICUs in rural and urban areas. “We have launched a campaign on our social media pages. Through this, we hope to raise awareness towards the cause of prematurity and highlight the governmental and societal effort required to offer care and support to the massive numbers of preterm births,” Avasthi said.